If your household is anything like mine, you may have afew pairs of dysfunctional pants hanging around that didn’t survive the winter so well. 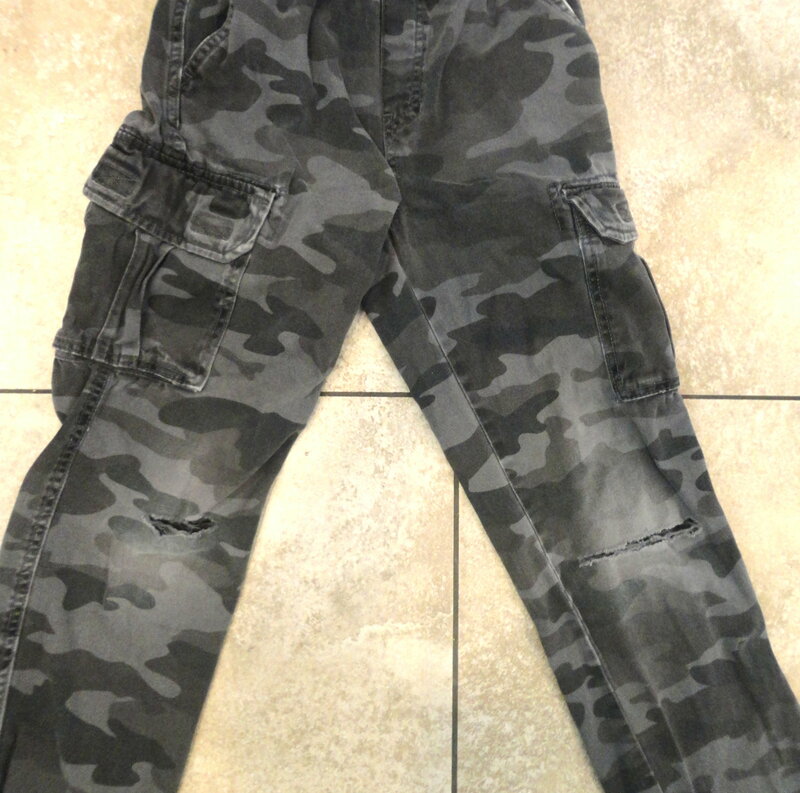 Here is a pair of my 10 year old’s pants, with large rips in both knees. With it getting so warm this time each year, I always take it upon myself to put poor pitiful things like this out of their misery, making them into fun summer play clothes instead. 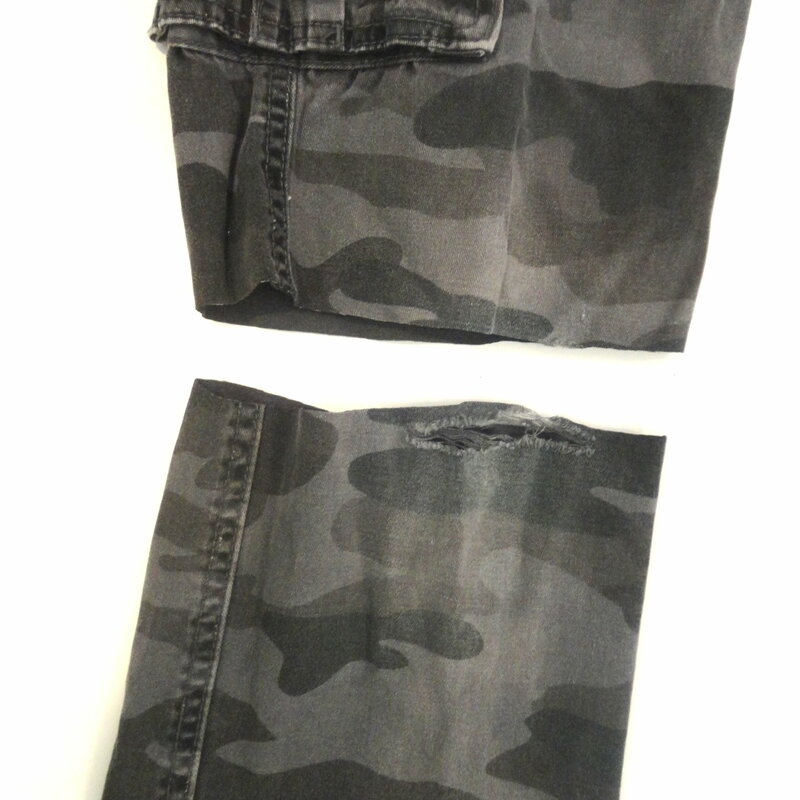 First, lay pants out as flat as possible, making the bottom hem line up with itself. Cut off part of one leg, right above the hole in the knee. Now, use the resulting scrap as a template for the other leg. Place it on top of the other leg, lining up hems and making it as flat as possible. Cut second leg right at the top of the old leg template. 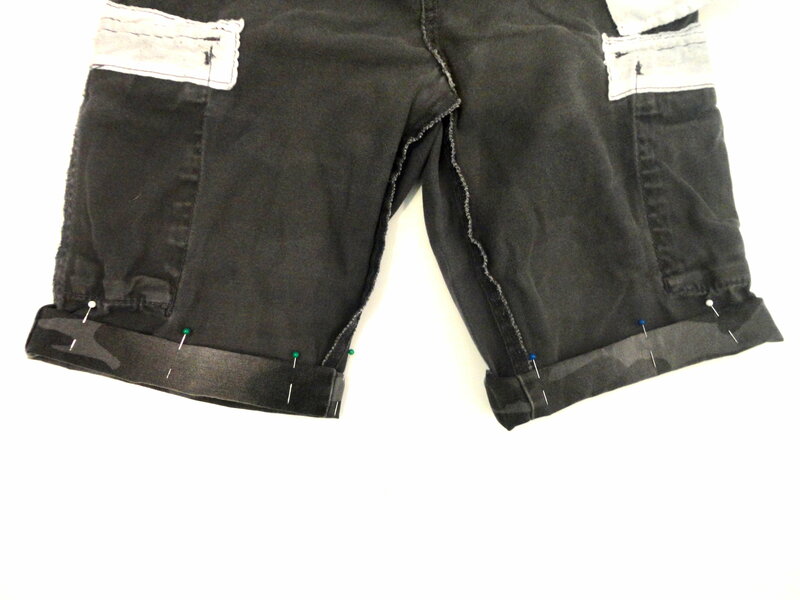 Use many pins to keep hem in place as you fold. Use a ruler to measure second fold as you are pinning to keep it a consistent width. Choose thread that has a somewhat-similar color to the pants. Sew along the top of hem, making seam allowance small, about 1/4 inch. Remove the pins as you go. Turn them right-side out and wear. 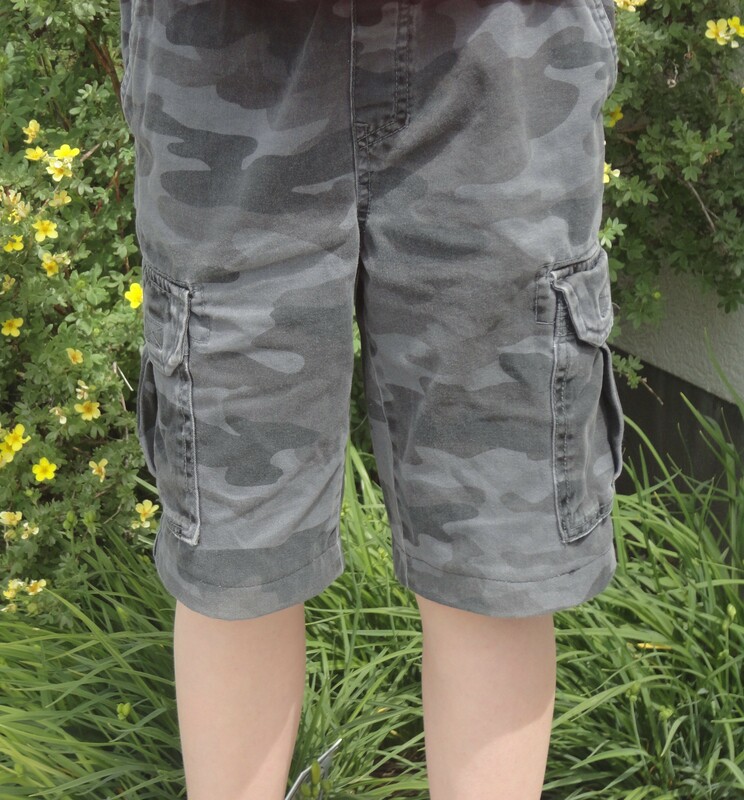 These refreshed shorts made their debut last week at the local educational water conservation gardens!